Last week a woman gave me $20 for helping her load the last of her dead father’s possessions into a cab. I usually get two or three dollars, but she gave me twenty. Of course, I’d been helping her for a while, a couple of boxes here and there, and maybe she saw it as cumulative, and since it was the last time, a twenty was appropriate. As I put it in my pocket I remembered the first time I saw my mom tip somebody, I was probably 10 years old and some neighborhood kid that was probably in his teens had installed our new washer in the kitchen. My mom gave him $2 and said “cigarette money.” And I’ve always thought of tips as “cigarette money” though I haven’t smoked for some 12 years now. 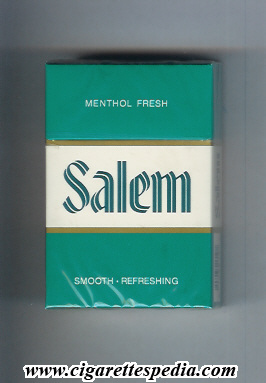 SALEM, the brand I smoked for almost 30 years. $2 would have bought that kid a whole carton of cigarettes in 1965 when that happened, $20 would get me two packs today if I went to a discounter like Duane Reade or CVS. For some reason the big drugstores always had these 2 for one or special prices to undercut the exorbitant and in some cases prohibitive taxes on the cigarettes. I always went to Duane Reade. Once a friend asked me why I would walk a couple of extra blocks to a Duane Reade when there was a CVS right across the street. “Because CVS is not a New York store.” I replied. One reason I quit smoking was the steady rise in price and taxes. When I first started smoking at the age of 19, cigarettes were 50 cents a pack. When I joined the army a few years later, in 1979, they were up to 65 cents a pack, but in North Carolina, where I was stationed they were only 45 cents, and on post, at the PX there was no tax at all and they were 35 cents a pack, a bonanza for a two to three pack a day smoker like me. I was buying 3 or four cartons at a time. Coming back to New York was a shock to my addictive system, by the early 80’s they were almost a dollar a pack, and I discovered that drugstores, Duane Reade in particular had them for a nickel cheaper than most bodegas or newsstands. I guess that’s where I developed my Duane Reade loyalty. This was a constant as prices went up, the drugstore discounts. They were my friends, an understanding entity in the corporate world that saved me a few pennies every time I needed to slake my tobacco habit, which had by then grown to monstrous proportions. I coughed a lot and had trouble breathing sometimes. My back hurt and I didn’t know why. My teeth were brown and my fingertips were stained yellow. The skin on my cheeks was yellow. But I went to Duane Reade every day to get my fix. 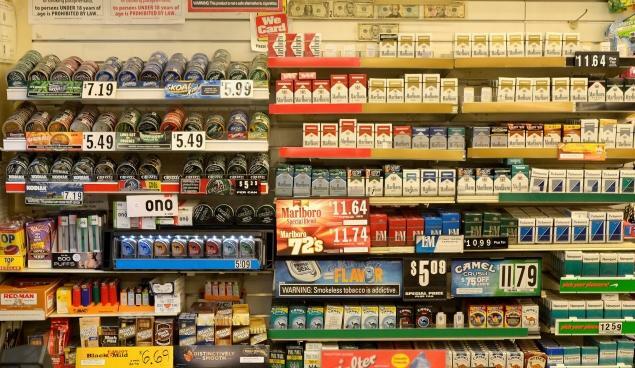 I quit in 2002, when cigarettes were approaching $8 a pack. That meant that at the time I was spending almost $20 a day just on smoking, $140 dollars a week, almost a quarter of my salary at the time. How I quit is a different story, it would take a little longer than what I can fit in a blogpost. Which brings me to the present. Cigarettes average $12 a pack in NYC right now; and I’m REALLY glad I don’t smoke anymore. Then on Wednesday I opened the New York Times and found to my surprise a full-page ad from CVS stating that they would not sell cigarettes or tobacco products (including e-cigarettes) after October 1st, 2014. It was a shock, but a good shock. Bravo, Mr. Merlo and the CVS board of directors, for having the courage to put principles before profit. If only other large corporations would only do the same. But maybe the example of CVS will encourage (or shame) others to do so. In a world where we pay a hundred times the price of manufacture for things like razor blades and printer ink cartridges, it is gratifying to know there are real people running some corporate entities, real people who care about others, rather than just the bottom line. Form now on I’ll go to CVS exclusively for anything I went to Duane Reade for. This entry was posted in Uncategorized and tagged corporate responsibility, CVS announcement, discount cigarettes, Duane Reade, New York story, quit smoking, smoking. Bookmark the permalink. Glad you’re no longer smoking, we want your writing. 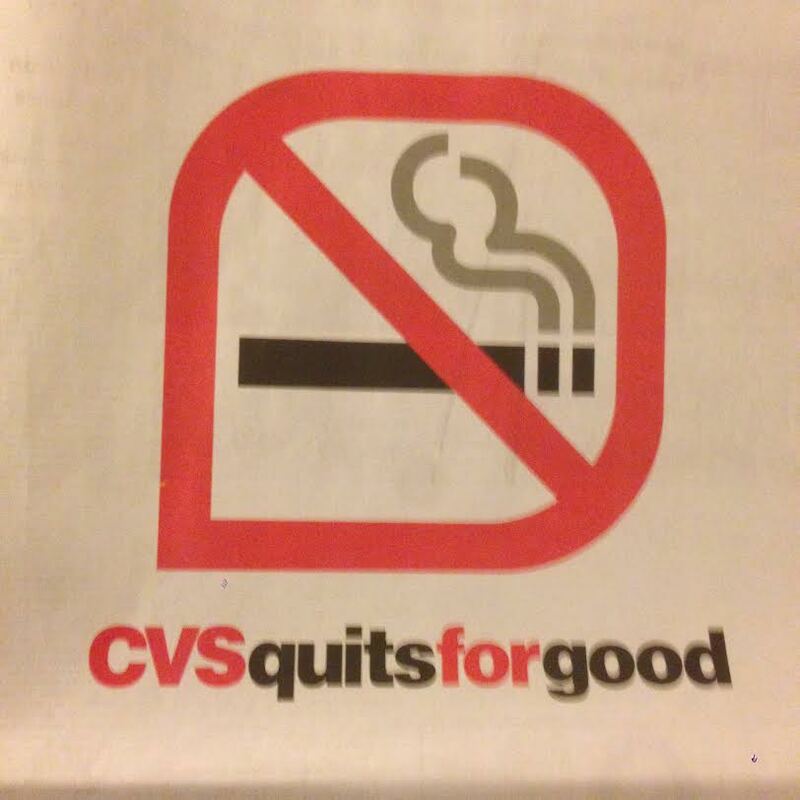 And, glad that CVS has taken a stand.